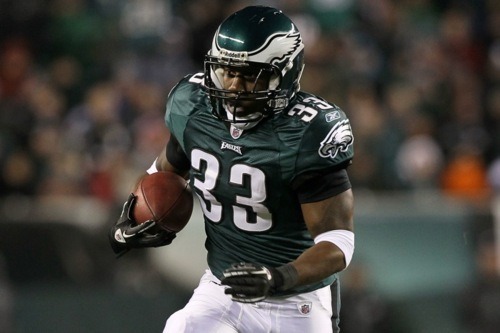 Which Eagles Free Agents Will Be Back in 2011? 0% — Antoine Harris, Bobby McCray, Reggie Wells: Who? I bet there aren’t more than a handful of fans who even remembered these guys were still on the team. I certainly forgot. 5% — Ernie Sims, Ellis Hobbs: Both short term rentals were acquired for middle round draft picks, and neither worked out. No reason to bring them back unless you really can’t find anyone else. 10% — Quintin Mikell, David Akers: Q had a good run here, and he still plays at a high level. But you just don’t draft two safeties in the second round and then give a soon-to-be 31-year-old a new contract. His leadership will be missed. Similar situation for Akers. Can’t last once your successor comes along. 20% — Max Jean-Gilles, Nick Cole, Omar Gaither, Akeem Jordan, Dimitri Patterson: Five young guys who each could return in the right circumstance as a backup and special team contributor, but their spots have already been filled by younger players with more upside. Time to move on. 35% — Jerome Harrison: Coming to the Eagles midway through the season, Harrison provided a spark on offense and was a huge boost over the previous backup running back, Mike Bell. I wouldn’t mind having him back, and neither would the Eagles, but I wonder if there are better fits out there for both parties. Harrison certainly would like a chance to start, if he can find the right opportunity. 60% — Stewart Bradley: With the rest of the linebacker corps young and unproven, the Eagles need at least one veteran presence. Bradley would be the logical choice, even for a one year contract. And yet the Eagles don’t seem all that interested in bringing #55 back. He might command more from another team on the open market, and there are other stopgap solutions (the only type of linebacker Andy Reid has ever seen) all over free agency. 85% — Sav Rocca: 2010 was quite possibly the Aussie’s best year yet as a punter. With no other plan in place, it would be surprising to see the Eagles let him walk. Let me know if you disagree. And, as updates come flying in on Tuesday, join me in the comment section to sound off on the latest rumors and news. Tagged with Akeem Jordan, Dimitri Patterson, Ellis Hobbs, Ernie Sims, Free Agency, Jerome Harrison, Lockout, Max Jean-Gilles, NFL, Offseason, Philadelphia Eagles, Quintin Mikell, Sav Rocca, Stewart Bradley, David Akers, Nick Cole, Omar Gaither. July 26, 2011 by Brian Solomon.